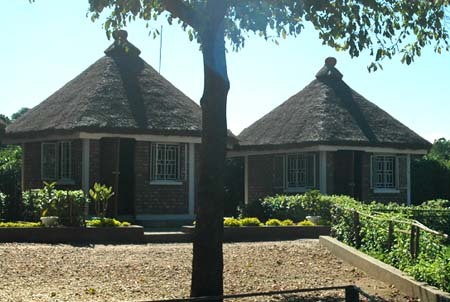 We offer Bungalows with 2 beds and a bathroom with a shower and a toilet. 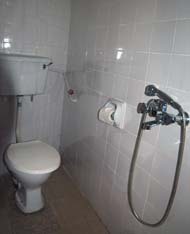 Warm water is avaliable. 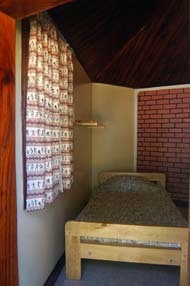 An additional bed for children can be provided. At night we run a generator to provide you with electricity from 7 – 10p.m. (it can also be extended, if needed). 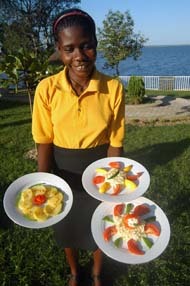 We offer snacks, local and international dishes. 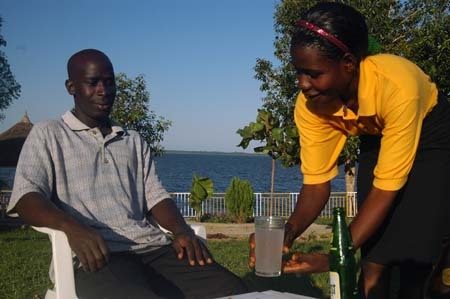 Drinks such as beers, soft drinks and spirits can be served by our friendly young staff. On demand we can serve meals and drinks in your room. In case of necessity, we can call for you a taxi. For local and international calls, a telephone is avaliable. For those who want to stay in a tent we can provide you with our tents or you can put up yours if you happen to be with one. For your meetings we offer a big hut which can host around 60 people and for entertainment we have music.